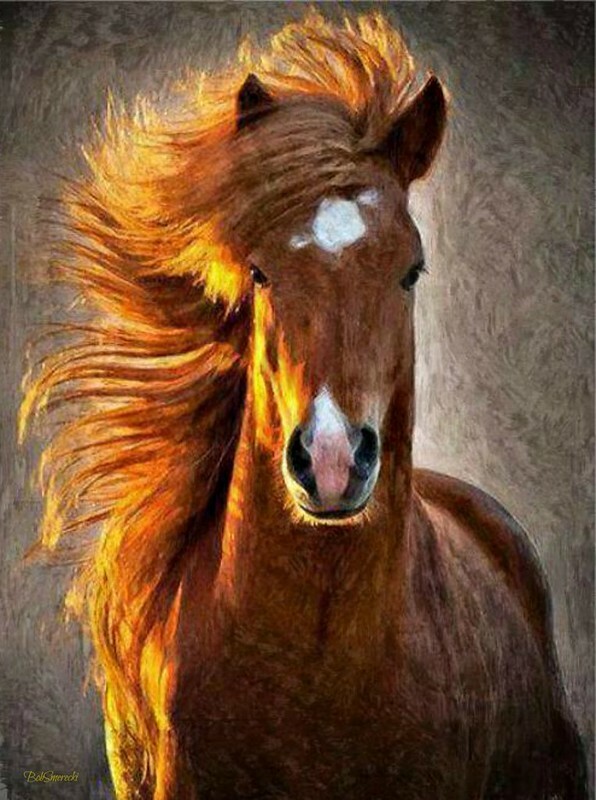 Most photogenic horse in the world? Is this perhaps the most photogenic horse in the world? It’s not a real horse, but a digital painting. Please see e.g. the DHgate listing of the DIY diamond painting square diamond brown horse. Below is one early version of the artwork. Digital Pastels Painting.- GMX PhotoPainter 2.6. Note that there are many variations of this horse picture.